We’ve grown up believing that animal products are the only source of adequate protein. Regardless of your diet, try telling someone you don’t eat meat and workout; they’ll probably wonder how you’re still living… Literarily. Before I begin, I’d like to state that this is meant as a basic informative post regarding protein to help clarify some misconceptions about protein and vegan diets. Protein is a combination of 20 amino acids that link together to form peptides. Our bodies naturally produces 11 of them, but 9 of them are essential because we can’t create them. *When protein is talked about, the concern is with the intake of the 8 essential amino acids through our dietary intake. Protein studies have been done based on nitrogen balance because nitrogen is a component of protein that fat and carbohydrates do not have. A nitrogen balance is used to determine the ideal amount of protein to eat. Therefore, the recommended daily allowance (RDA) for protein is to consume 0.8-1.0 grams for every kilogram of body weight. Yes, meat does contain all the essential amino acids needed and I am not denying it. 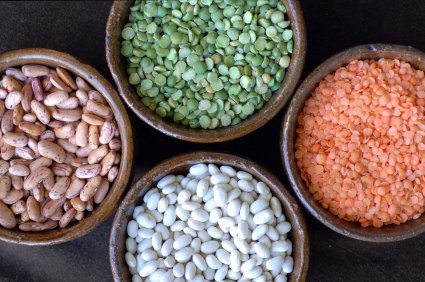 A plant-based diet lacks all the amino acids within one particular food. This is why we eat a VARIETY of food! Mind boggling concept right! ?The problem isn’t getting enough protein; it’s eating food that has high-lysine levels. Why? 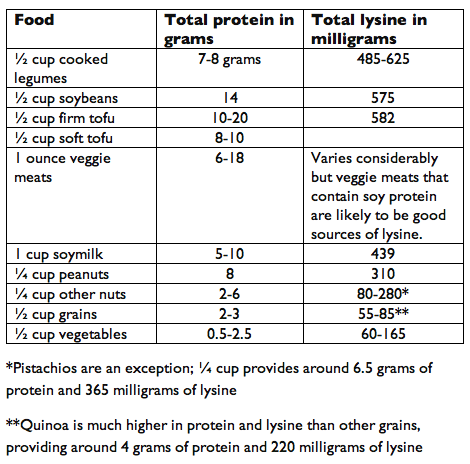 Meeting the lysine daily requirement on a vegan diet means you will most likely also meet your daily protein intake. The RDA is 38mg/kg/day. Generally active people require more protein, but they also need more carbohydrates and fats. Overall, they require more of all the nutrients and a higher daily calorie intake. An increase of approximately 10% protein is advised. 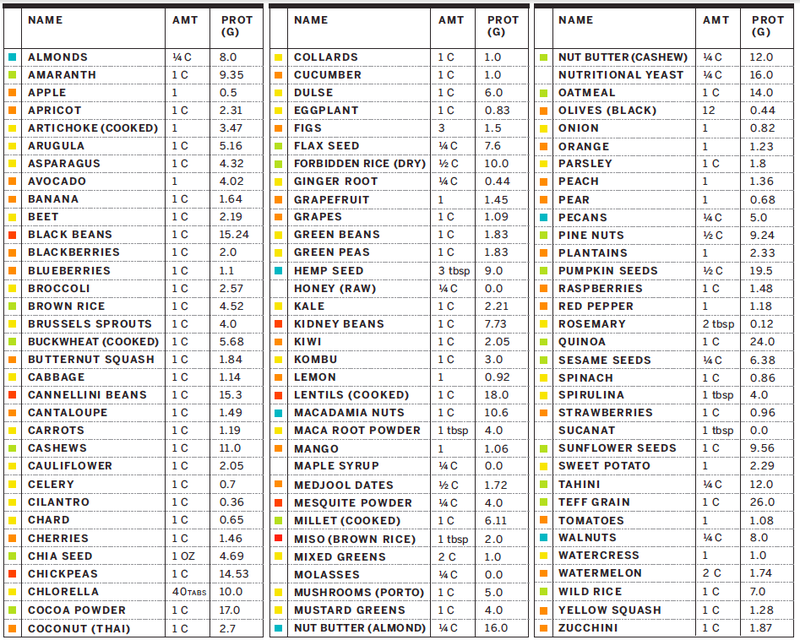 Therefore, the approximate protein recommendation for vegetarian athletes is 1.3–1.8 g/kg/day. (Endurance athletes 1.2 to 1.4 g/kg/day and Strength athletes 1.2 to 1.7 g/kg/day). 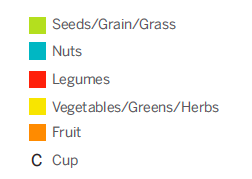 As you can see, the necessary protein intake even with an athletics lifestyle can be met with a raw vegan diet!